The Minister laid out how Mr. Trump is the last in a line of six presidents who have plotted the destruction of Black people. But, the Minister said, God has come to judge and destroy America for her past evils and current genocidal plots against Blacks. Congressional leaders and civil rights activists forced America to pass laws to improve the lives of Blacks, but those laws were undermined, eviscerated and made ineffective, he noted. The political deception and double-dealing goes back to a political compromise in 1877 that put Republican Rutherford B. Hayes in the White House, but removed federal troops from the South and left Blacks at the mercy of hardhearted Whites. “Let me tell you something: If you don’t give justice to us, you will lose everything you’ve got, including your life, because God, now, said He is ready to fight you for our deliverance. And he told me to tell you: You don’t have no fight against the forces of nature,” Min. 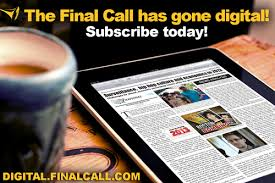 Farrakhan cautioned President Trump. The Minister has consistently warned disasters striking America are not happenstance, but the divine Supreme Being’s direct intervention and chastisement. The root of the revelation was a vision-like experience in 1985 when the Minister was taken to the Mother Wheel, a man-made plane that is a half-mile by a half-mile and fulfills the prophecy of Ezekiel’s Wheel in the bible and is commonly referred to as a UFO. 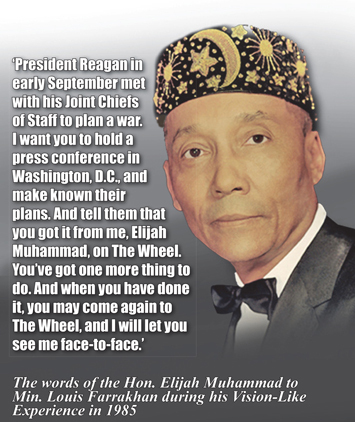 In the experience, the Honorable Elijah Muhammad spoke to Min. Farrakhan through a speaker system. Minister heard a cryptic message from his teacher, who said: The president and his Joint Chiefs of Staff have met to plan a war. It later became clear to the Minister that the war was on two fronts, a war against Islamic countries abroad and the tiny Nation of Islam at home. Under Ronald Reagan, the plot manifested in the bombing of Libya, but every president from Richard M. Nixon to Mr. Trump has plotted against Blacks and Islam, Mr. Farrakhan said. “Reagan was doing ‘war games’ in California; when he became president, he brought all that stuff with him into the White House … and the war games were practiced even moreso, because they expected (urban revolts) since ‘67 and ’68, when the riots broke out and Dr. King was assassinated,” Min. Farrakhan observed. They were going to take down seven Muslim countries in five years, ending with a war on Iran. So the ‘[Arab] Spring’ came, and you saw, like dominoes, members of the Muslim world falling,” he noted. The assault on the World Trade Center on Sept. 11, 2001 was a false-flag operation designed to heal to a bitterly divided nation after the Bush-Gore presidential election, said Min. Farrakhan. Independent press and audience at Nov. 15 press conference in Washington, D.C.
Bill Clinton, who was called “the first Black president,” did great harm to Blacks, said the Minister. 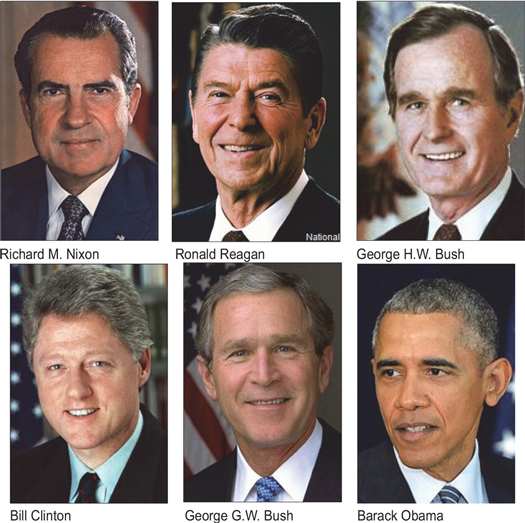 The Clinton administration cut welfare and social safety net programs and oversaw the largest increase in federal and state prison inmates of any president in history. Black men were overwhelmingly jailed because of the Clinton 1994 crime bill and his prison policies. The Minister also distributed 500 copies of Dr. Wesley Muhammad’s book, “Understanding the Assault on The Black Man, Black Manhood and Black Masculinity,” which details efforts to destroy the Black male. Now comes Mr. Trump, who follows Barack Obama and his unsuccessful attempts to make America better, Min. Farrakhan said. 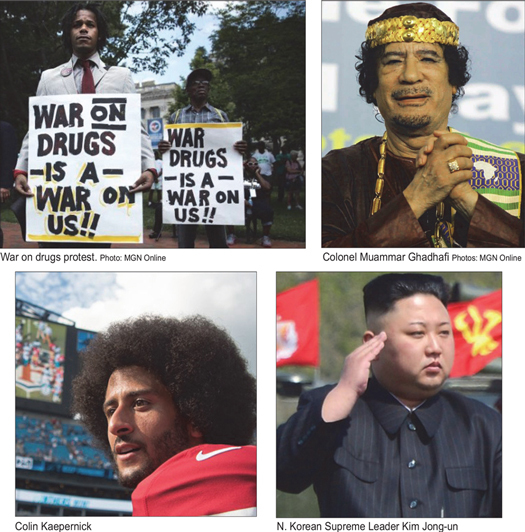 Mr. Trump is an “anomaly” who refuses to act “presidential” and whose election has exposed the ugly, ugly side of U.S. race relations and an unrepentant militaristic world view. “Mr. 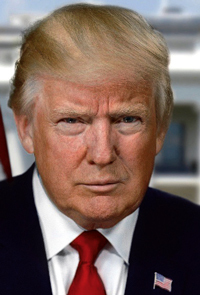 President, you’re going to have to deal with either the thought that’s in your mind that will destroy America and her future; because once the trigger of war is pulled, it will escalate,” warned Min. Farrakhan. “Now, I’m going to tell you what my teacher told me: You have planned a war. The war that you have planned, you and your generals, is to the Middle East—you want to use the Sunni, at the prodding of Israel, to attack Iran,” said Min. Farrakhan. The president in his first visit to a foreign nation touted a $110 billion arms deal with Saudi Arabia in May and rallied 50 Sunni, Arab nations to confront Iran and her Shia allies. Several news outlets, including the UK-based Daily Mail, reported in mid-November that the king of Saudi Arabia will step down and appoint his son, 32-year-old Prince Mohammed Bin Salman, as his successor. It has been reported that the crown prince made a covert trip to Israel and wants to partner with Israel in a fight against Iranian-backed Hezbollah in Lebanon, the government in Tehran and possibly have Israel enter the fray in Syria. None of those developments or possible developments bode well for peace in the Middle East as the U.S. is reluctant to engage China militarily and wary of nuclear weapons in North Korea. 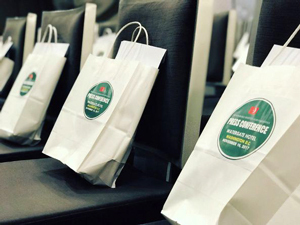 The Moretti Ballroom at the Watergate Hotel was filled with 500 seats taken, news video cameras in the rear with international, national, Black and independent media covering the press conference. 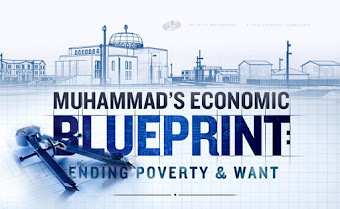 National, political, civil rights, activists and local religious leaders, and student representatives were in the audience alongside international guests, Nation of Islam national and regional laborers, student ministers, Believers, and supporters. With the president facing severe opposition, widespread criticism and a divided party, the Watergate was a striking place from the message to emanate as there are calls for Mr. Trump to be impeached. 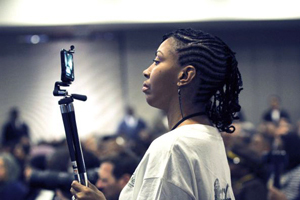 The press conference, covered by the Farrakhan Twitter Army, trended on social media as a leading topic. Min. 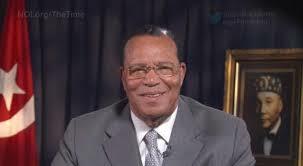 Farrakhan candidly stated that as the FBI seeks to target Black Identity Extremists and separatists, there is no doubt that he and the Nation are in the government’s crosshairs. But, he said, the enemy will not be successful in killing him. I will escape their death plots as did my teacher, he said. There was controversy when the Minister wanted to display huge book covers for “The Secret Relationship Blacks and Jews,” and “Understanding the Assault on The Black Man, Black Manhood and Black Masculinity.” The Jewish owners of the hotel objected. Min. 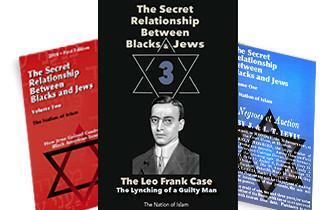 Farrakhan defended the books, saying “The Secret Relationship” is composed of work by Jewish scholars and rabbis. There are good, righteous Jews who want to follow the law of God, said the Minister. But, he pointed out, other Jews act like it is a sin to scrutinize Jewish behavior. How can you be better if actions that are contrary to God are not pointed out so that you can be better? Min. Farrakhan asked. 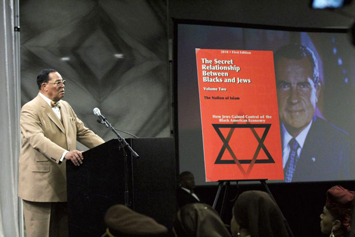 Minister Farrakhan carefully explained the theological foundation of the Nation of Islam’s message, explaining why Muslims are taught to reject the false image of Jesus as a Caucasian man. “We have to escape the tyranny of White supremacy that is embodied in an image of Jesus that is not Jesus,” he said. The historical Jesus was not White but if it makes no difference why did Caucasians change his race? asked Min. Farrakhan. It was the Hon. 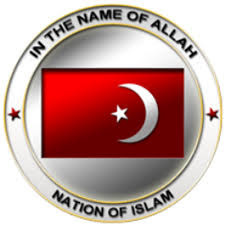 Elijah Muhammad, who escaped a death plot, who spoke to me, disclosed the plans of the presidents for war against Islam and the Nation from the Mother Wheel and whose words have guided the last 32 years of my work, said the Minister. I have one more thing to do to return to the Wheel and see my teacher face-to-face, the Minister boldly stated. 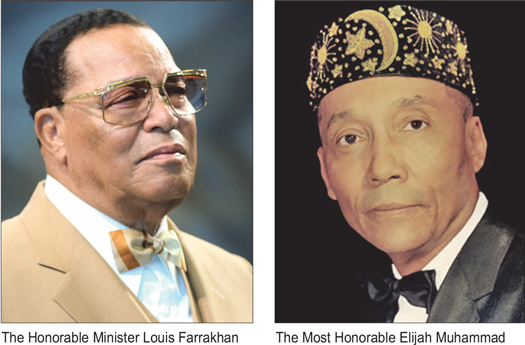 “For 40 years I have labored in this vineyard in the absence of my teacher, the Honorable Elijah Muhammad. 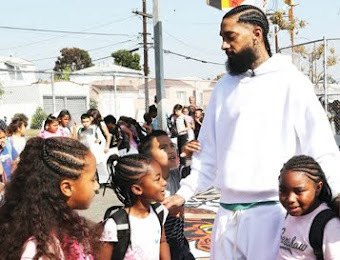 His work among us for 40 years is unparalleled in the work of reform of the Black man and woman, bringing us from the savage state of existence that we were placed in by our former slave masters and their children,” he said. 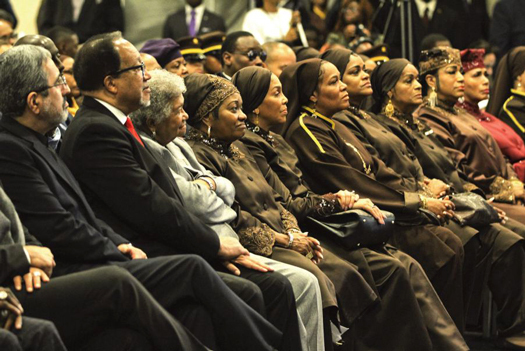 Many Nation of Islam members and supporters in attendance frequently interrupted the remarks with cheers and standing ovations. “Now those of you who are in love with Jesus Christ, I want you to know that a Black man from Georgia was raised from a dead state: Elijah Muhammad. And you tried to kill him, and you thought you had succeeded. 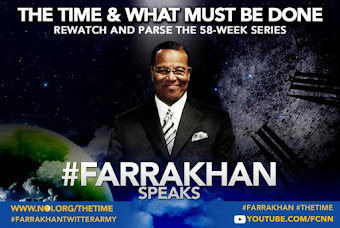 That’s why when I was taken up on The Wheel, he said: ‘Make known to them their plans, and tell them you got it from me, Elijah Muhammad, on The Wheel.’ What was he asking me, pardon me, ordering me to tell you that for? So you would know that he escaped your plot to kill him,” the Minister said.